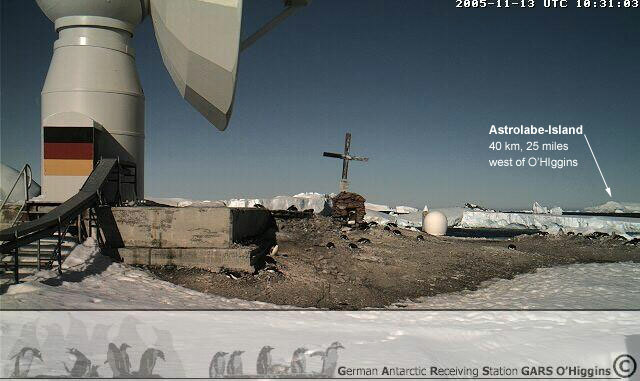 Astrolabe Island 63.17S 58.40W ==> see more maps! Abstract: 63 deg 17' Sout, 58 deg 40' West, Island 3 mi long, height: 1844 feet / 562 meter, lying in Bransfield Strait 14 mi NW of Cape Ducorps, Trinity Peninsula. 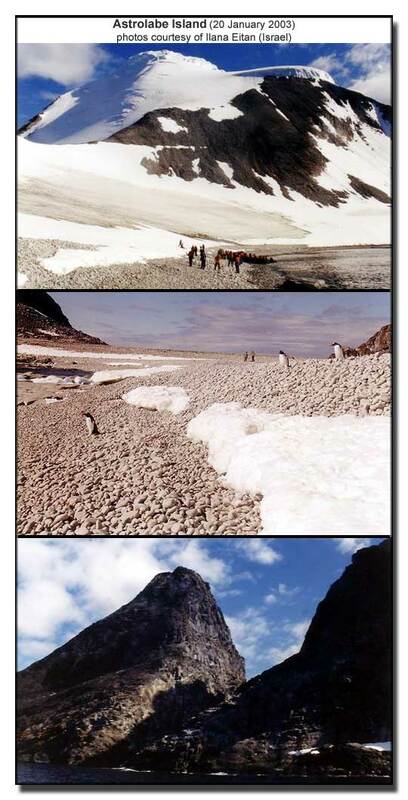 Discovered by the french expedition (1837-40) under Capt. Jules Dumont d'Urville, and named by him for the main expedition ship, the Astrolabe. An Astrolabe is a very important ancient navigation instrument for many hundred years. This might be the reason that the first expedition ship of the famous french explorer Jean-François de Galoup, later known as "Comte de La Pérouse" or just "La Pérouse", was given the name "Astrolabe". Maybe a symbol how state of the art this ship was? Jean-François de Galoup was born on 23 August, 1741 near Albi, France and entered the Navy when he was fifteen, and fought the British off North America in the Seven Years' War. Later he served in North America, India and China. In August 1782 he made fame by capturing two English forts on the coast of the Hudson Bay. Pérouse was appointed in 1785 to lead an expedition to the Pacific. His ships were the Astrolabe and the Boussole, both 500 tons. They were storeships, reclassified as frigates for the occasion. La Pérouse was a great admirer of James Cook, tried to get on well with the Pacific islanders, and was well-liked by his men. During this expedition there occured a desaster to the whole crew and all of the 114 men of both ships were never seen again! In 1791-1793 Antoine de Bruni, chevalier d'Entrecasteaux looked for La Pérouse, but found no trace of him, and it was not until 1826 that an English captain, Peter Dillon, found evidence of the tragedy. In Tikopia (one of the islands of Santa Cruz), he bought some swords he had reason to believe had belonged to La Pérouse. He made enquiries, and found that they came from nearby Vanikoro, where two big ships had broken up. Dillon managed to obtain a ship in Bengal, and sailed for Vanikoro where he found cannon balls, anchors and other evidence of the remains of ships in water between coral reefs. He brought several of these artifacts back to Europe, as did D'Urville in 1828. 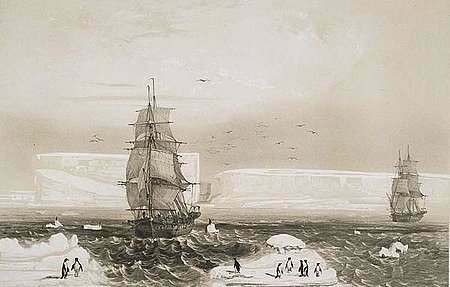 De Lesseps, the only member of the expedition still alive at the time, identified them, as all belonging to the ship Astrolabe from the expedition of La Pérouse. From the information Dillon received from the people on Vanikoro, a rough reconstruction could be made of the disaster that struck La Pérouse, which was confirmed by the find and search of the shipwreck of the Boussole in 1864. Both ships had been wrecked on the reefs, the Boussole first. The Astrolabe was unloaded and taken apart. A group of men, probably the survivors of the Boussole were massacred by the local inhabitants. Others built a small boat from the wreckage of the Astrolabe, and left westward about 9 months later. Apparently this boat shipwrecked somewhere, possibly in the Solomon Islands. The rest of the story is this: it was Dumont d'Urville who found parts of the shipwrecks 40 years later. Before he departed from France his ship was renamed from "COQUILLE" into "Astrolabe" in rememberance to the lost ship of Pérouse. One task of this expedition was to find out what really might have happened to Pérouse. He departed on April 22, 1826 from Toulon (France) on the Astrolabe with his second-in-command Charles Hector Jacquinot. This proved to be his second successful circumnavigation of the world. Among his accomplishments were the discovery of the Fijian islands of Matuku and Totoya, successful charting of the Loyalty Islands, surveying of the New Zealand coastline and mapping and exploration of the Tongas and Moluccas. The records were so detailed that for the first time the scattered islands could be divided into three major groups: Melanesia, Polynesia and Micronesia. The Astrolabe returned to France on March 25, 1829. 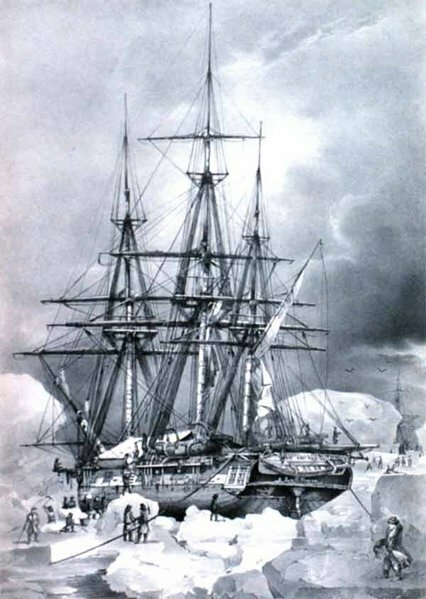 1837, 8 years later, Jules Sébastien César Dumont d'Urville (born May 23 in 1790,Condé-sur-Noireau, France – died May 8, 1842, Meudon, France) started for the first major french expedition to the Antarctic with this ships "Astrolabe" (which was in the South Sea before) and the "Zelee". "...a marvellous spectacle. More severe and grandiose than can be expressed, even as it lifted the imagination, it filled the heart with a feeling of involuntary terror; nowhere else is one so sharply convinced of one's impotence. The image of a new world unfolds before us, but it is an inert, lugubrious, and silent world in which everything threatens the destruction of one's faculties"
Prof. Eugene Domack wrote: no the islands are pinnacles formed by the radial erosion of glacial ice caps although the rocks themselves are parts of very old metamorphosed volcanic rocks. These islands ARE not volcanoes.